Hi all!! Happy Saturday!! 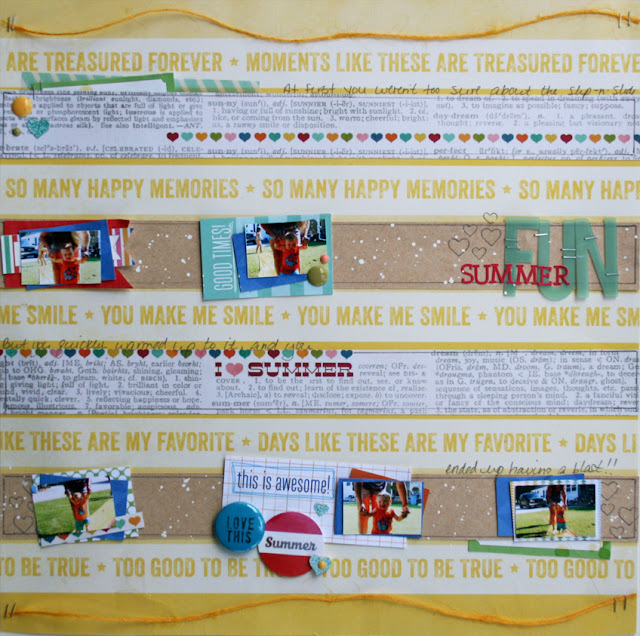 I am hopping on real quick to share another layout from the Summer Camp with Noel Mignon! This one was the "Trail Mix" challenge, and it was basically a recipe challenge. We were given a list of items that we had to use on our layout. REALLY cute page, Amanda! I love how you used the actual print of the paper to dictate your page design. And I love the smaller pictures. Something a little different! Whimsical Twist Summer Blog Hop and GIVEAWAYS!! !